One of the best ways of breathing new life into a bathroom is to paint it. 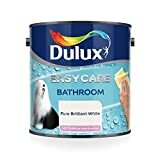 Painting is a straight forward task and in comparison to other things you can do to your bathroom it is cheap. To get the best out of your painting task you need to plan and prepare. Many people find that what seemed like an easy task turns into something different when they start. This is because they have failed to do the essential process, which is planning. 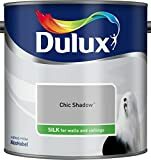 Exceptionally tough moisture and steam resistant paint. The standing of the bathroom amongst the rest of the rooms in the home has in recent years risen very high. This is not very surprising to see; because the bathroom is the place we all head to start our day. It is also the place we come to relax and unwind after a long day’s work. In our modern hectic lifestyles, we all need to relax now and then, and the most accessible ways of doing that is by having a nice long bath with your favourite scents, oils and soaps. After you make up your mind to paint your bathroom, the first thing you need to decide is what colour you are going to use. You don't need to decide just what colour to use but you need to figure out if you want to use the same colour for the walls, ceilings and cabinets or whether you want a few different colours. This step is very important because done properly it will mean your bathroom will look good and not appear like it has been haphazardly thrown together. The best way to accomplish this is to look at magazines and see what colours work together. You can also visit the many websites that are out there which have lots of information. You don't have to be an interior decorator to come up with something beautiful. All is that is needed is for you to give it some thought and your creative juices will be running. Your next task will be to make space so you can actually get the painting done. Bathrooms tend to be smaller than the other rooms in the home, so it is essential that you move everything out of there so that you can cover all surfaces. You should move all shelves, towel rails, mirrors and other such accessories. It is important you create a clear path and space for yourself so that you don't trip over anything so move everything into another room. The next thing is to put tape on the areas where you don't want the paint to go, such as the boards of the walls and skirting boards. You also need to put plastic sheets down on the floor, to protect it. The final step before painting is to clean the walls. This will not take a lot of time because the walls will be pretty clean already. What you are doing here is just to make sure that your get rid of any spots of mold and mildew. If you do this step your painting will look fantastic when you are finished. Painting is a very fun activity and anybody can do it. All you need is a little planning and preparation and you will end up with a fantastic looking bathroom. 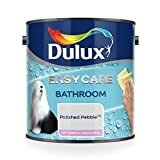 Should I Carry Out a Bathroom Remodelling Project Myself? Can a Heated Towel Rail Heat my Bathroom? CERTAIN CONTENT THAT APPEARS ON THIS SITE COMES FROM AMAZON EU S.à.r.l. THIS CONTENT IS PROVIDED ‘AS IS’ AND IS SUBJECT TO CHANGE OR REMOVAL AT ANY TIME.